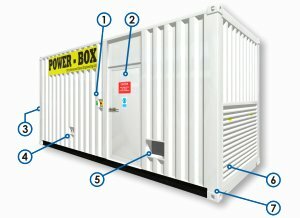 The ADE Power Box is a 20-foot modified ISO container. 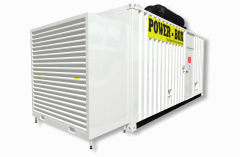 The design is universal, allowing for a wide range of generators to be installed. The acoustic properties of the container can lower the noise levels of the chosen generator by up to 40dB(A), depending on both the size and model of the generator. The cooling system, the silencers and the sound traps are designed to reduce installation costs and due to the ISO container dimensions, the unit is easy to transport. The original wooden floor is modified to take the mountings of the gen-set and its accessories, though the original walls and roof are retained. The roof of the container is acoustically treated, this also acts as a temperature barrier from the sun in extreme conditions. Side personnel access doors are sound attenuated and are fabricated using 3mm mild steel. Both doors are also fitted with an internal "anti-panic" opening system. The external handle is designed to operate normally against the air pressure difference caused when the machine is running. The handles also incorporate a key-operated lock. Following rigorous preparation of the original surface, the modified containers are completely re-coated in hard wearing, high gloss paint. The standard fuel system is a 500 litre, single walled fuel tank mounted inside the container with an internal fill point. Exhaust silencing on the PB20 is provided by a box type exhaust silencer mounted inside the container and is insulated to limit the temperature rise in the container. 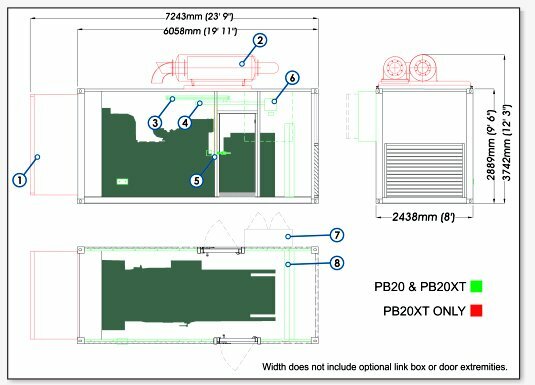 Exhaust silencing on the PB20XT is provided by a roof mounted external dual pass cylindrical system. Electrical fit out includes a consumer unit powering the 230V fluorescent lights housed on each side of the container, with a switch by each door. The consumer unit also provides power for two (one per side) socket outlets and the auxiliaries, (battery charger and water heater are also connected to the consumer unit if required. 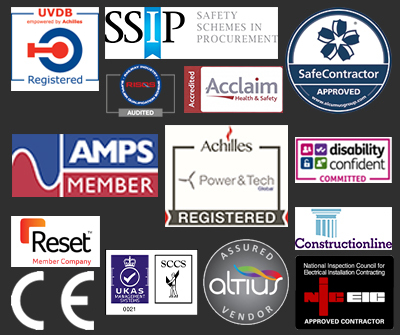 An extensive range of options are always available for the ADE PB20 and PB20XT. The height and width are increased on the PB20XT due to the external attenuator pod and exhaust silencers. The Power Box PB20XT is identical to the PB20 in design and specification, except for the extra noise attenuator on the front of the unit. 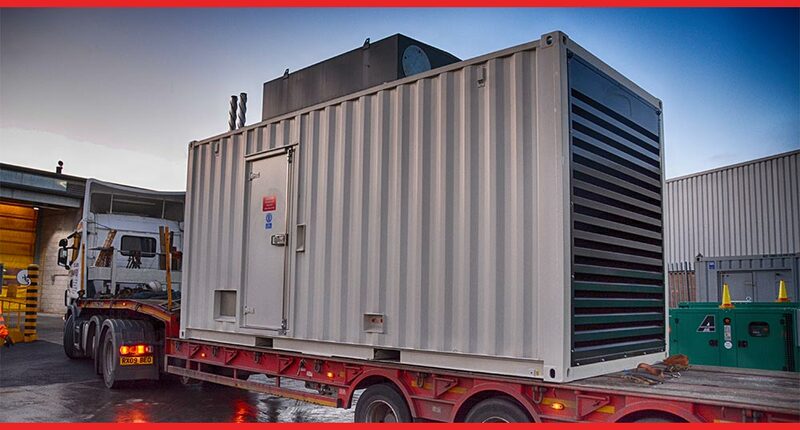 The external pod allows room for a 1000 kVA generator running at 100% load at levels no louder than 85dB(A) @ 1m. Adjustable supports are provided to aid flexibility within site conditions. Any number of additional up-fits are also available; including external cable entry cabinets, remote fuel supplies and external lighting.